TCM is airing a night of films on Friday that were on a recent BBC list of The 100 Greatest Comedies of All Time. Some Like It Hot starring Tony Curtis and Jack Lemmon (pictured above) was No. 1 on that list. TCM is airing a an evening of films that were included on a recent BBC list of The 100 Greatest Comedies of All Time (go here for the full list). There's also a great daytime lineup of movies starring birthday lady Greta Garbo and an evening of films from star of the month Jennifer Jones. Birthday tributes: Greta Garbo on Monday. Noir Alley: Ace reporters John Derek and Donna Reed investigate the suspicious death of their editor's estranged wife in Scandal Sheet (1952) at 10 a.m. Sunday. TCM Essentials: The modern Western The Treasure of the Sierra Madre (1948) at 8 p.m. Saturday features Humphrey Bogart as a greedy prospector who fights the elements, bandits, and his partners (Walter Huston and Tim Holt) for a fortune in gold. Silent Sunday Nights: Five short comedies directed by Harry Edwards starting at midnight. The Surf Girl (1916) features the misadventures of a family spending a day on Coney Island while Billy Bevan crashes a country club in The Golf Nut (1927). Harry Langdon and Vernon Dent try to spend some time away from their domineering wives in Saturday Afternoon (1926) while Langdon discovers his hidden musical talents in Fiddlesticks (1927). Finally, Langdon plays a glum bridegroom in His Marriage Wow (1925). TCM Imports: Japanese director Kenji Mizoguchi's historical drama The Life of Oharu (1952) at 2 a.m. Sunday night/Monday morning is the story of a traditional concubine (Kinuyo Tanaka). Best Day to DVR: Friday prime time and late night: TCM is airing a night of classic movies that were included in the recent BBC list of The 100 Greatest Comedies of All Time. First up is the No. 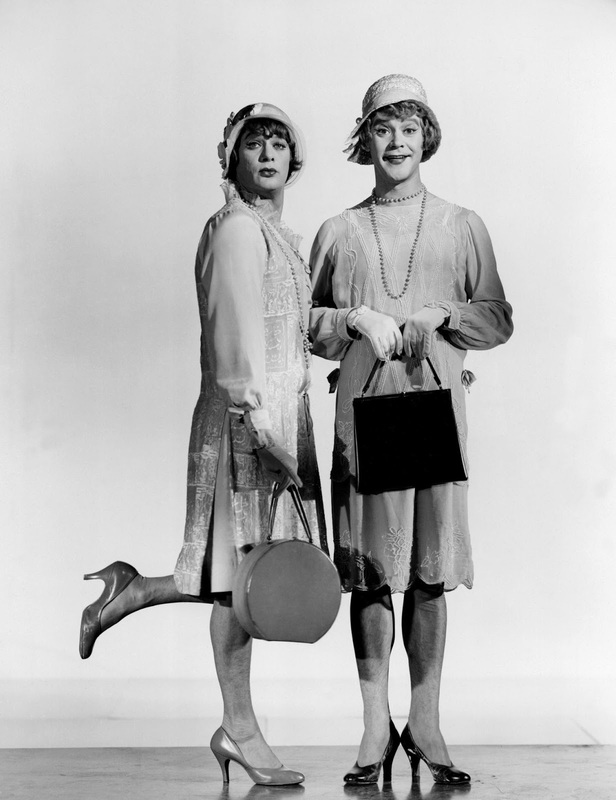 1 film on the list, the gender-bending farce Some Like It Hot (1959) at 8 p.m. The Marx Brothers romp A Night at the Opera (1935) at 10:15 p.m. came in at No. 39. followed by the rock 'n' roll mockumentary and No. 9 on the list This Is Spinal Tap (1984) at midnight. The evening rounds out with the No. 12 selection, Charlie Chaplin's Modern Times (1936) at 1:45 a.m. and director Ernst Lubitsch's To Be or Not To Be (1942) at 3:30 a.m., which comes in at No. 13. Three daytime picks: A birthday tribute to Greta Garbo who was born Greta Gustafsson on Sept. 18, 1905, in Stockholm. 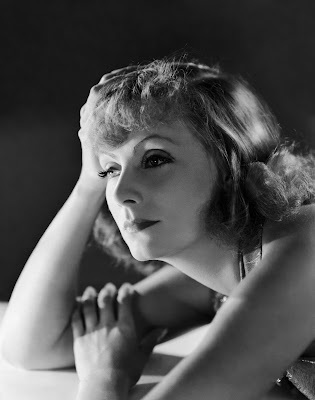 Garbo was appearing in Swedish films in the 1925 when MGM chief Louis B. Mayer brought her to Hollywood. She became an immediate sensation in seductive roles like The Temptress (1926) at 6 a.m. and The Mysterious Lady (1928) at 10 a.m. and her success continued into the pre-code era with early talkies Romance (1930) at 11:45 a.m. and Anna Christie (1930) at 2:45 p.m. Garbo had perhaps her greatest role as ballerina Grusinskaya in the all-star drama Grand Hotel (1932) at 8 a.m. (this is the movie where she utters the famous line, "I want to be alone") and she continued her winning streak with the historical biopic Queen Christina (1933) at 4:15 p.m. The public eventually grew tired of MGM casting the Swedish star in turgid melodramas like The Painted Veil (1934) at 1:15 p.m., but she made a triumphant comeback in the sophisticated Lubitsch comedy, Ninotchka (1939) at 6 p.m.
Prime time lineup: TCM is celebrating the 90th anniversary of the TCL Chinese Theatre (formerly Grauman's Chinese Theatre) with a night of movies connected to the Hollywood landmark. The first film to play at the theater was director Cecil B. DeMille's Biblical epic, The King of Kings (1927) at 8 p.m.
Late night pick: The first Academy Award winner to premiere at the theatre was the musical The Broadway Melody (1929) at 12:45 a.m.
William Holden and Jennifer Jones in Love Is a Many Splendored Thing (1955). 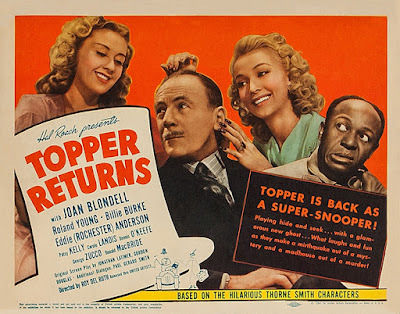 Three daytime picks: The theme is actors in dual roles starting with Bette Davis as both a good and bad twin in the soaper A Stolen Life (1946) at 9 a.m. followed by Norma Shearer as both a slain bride and her lookalike niece in the fantasy/romance Smilin' Through (1932) at 2:45 p.m. Alec Guinness was a master at multiple roles in films like the Daphne du Maurier adaptation The Scapegoat (1959) at 4:30 p.m. in which he appears as both a French nobleman who murders his wife (Irene Worth) and his English doppelganger. Prime time lineup: TCM will air movies from leading lady Jennifer Jones every Tuesday in September. 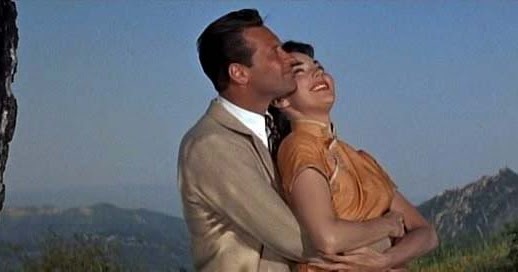 This week's lineup kicks off with her portrayal of a devoted small-town schoolteacher in Good Morning, Miss Dove (1955) at 8 p.m. Jones earned an Oscar nomination for playing a Hong Kong doctor who fall for foreign correspondent William Holden in Love Is a Many Splendored Thing (1955) at 10 p.m.
Late night pick: Jones plays the avaricious wife of ad man Gregory Peck in The Man in the Gray Flannel Suit (1954) at midnight. Three Daytime Picks: The theme is movies from director Anatole Litvak, who was a top Warner Bros. director in the 1940s. Litvak's films were known for their lush romanticism such as the historical drama All This, and Heaven Too (1940) at 9:30 a.m. starring Bette Davis and Charles Boyer and the shipboard romance 'Till We Meet Again (1940) at 1:30 p.m. starring Merle Oberon and George Brent. Litvak also directed the great noir Out of the Fog (1941) at 4:45 p.m. which stars John Garfield as a ruthless longshoreman who falls for fisherman's daughter Ida Lupino. Prime time:Tonight's lineup is devoted to movies featuring actors and crew members who now reside in the Motion Picture & Television Country House and Hospital in Los Angeles. First up is Civil Rights era murder-mystery In the Heat of the Night (1967) at 8 p.m. This film will be introduced by MPH resident Bob Mirisch, who was a lawyer/executive at the production company which made the Oscar winner. Next screenwriter Anthony Lawrence will talk about his work on the Elvis Presley film Roustabout (1964) at 10 p.m.
Late night pick: MPH resident Daniel Selznick will introduce the 1937 version of A Star Is Born at 2 a.m., which was made by his father, independent producer David. O. Selznick. Cary Grant, Victor McLaglen, and Douglas Fairbanks, Jr., in Gunga Din (1939). Three daytime picks: The theme is movies about India. First up, Laurel and Hardy bumble their way around the subcontinent in Bonnie Scotland (1935) at 8:30 a.m. Next. 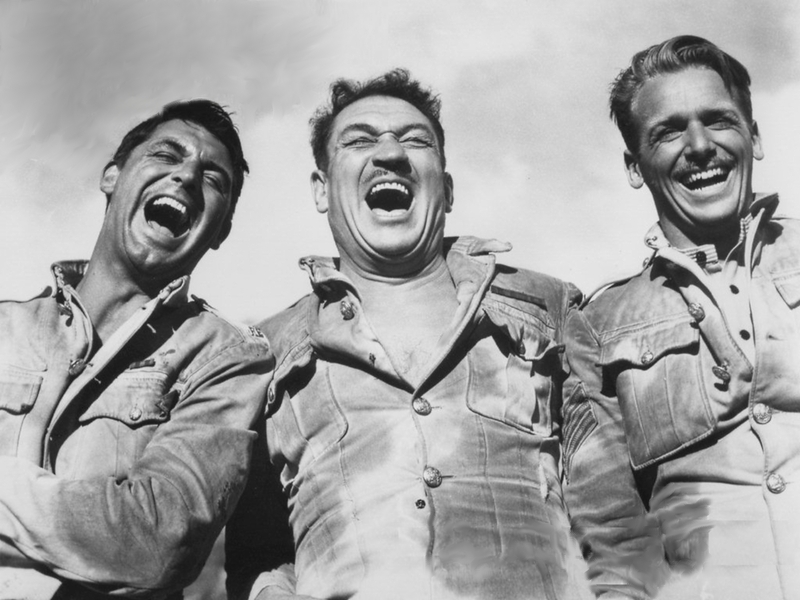 the adventure film Gunga Din (1939) at 12:15 p.m. finds Cary Grant and company saving the British Raj. Finally, director Jean Renoir's evocative film The River (1951) at 4:30 p.m. is about an English girl (Harriet Walters) growing up in colonial India. Prime time lineup: Tonight's lineup features two groundbreaking rock music documentaries from director D.A. Pennebaker. First up is the concert film Monterey Pop (1969) at 8 p.m., which features performances from Janis Joplin, Jefferson Airplane, and Jimi Hendrix followed by Pennebaker's profile of a plugged-in Bob Dylan in Don't Look Back (1967) at 9:30 p.m.
Late night pick: Filmmakers Albert Maysles and David Maysles chronicle The Rolling Stones chaotic 1969 tour in Gimme Shelter (1970) at 11:45 p.m.
Three daytime picks: The daytime lineup is about supernatural encounters starting with the Pittsburgh Pirates getting heavenly assistance in Angels in the Outfield (1951) at 9:30 a.m. Next. Rex Harrison is haunted by the ghost of his first wife (Kay Hammond) in Noel Coward's sparkling comedy Blithe Spirit (1945) at 1:15 p.m. Finally, Roland Young has ghostly encounters with Cary Grant and Constance Bennett in Topper (1937) at 3 p.m. and Joan Blondell in Topper Returns (1941) at 4:45 p.m.
Prime time lineup: See the "Best Day to DVR" section. Late night: See the "Best Day to DVR" section. The Essentials series continues at 8 p.m. with new host Alec Baldwin. He will be joined by director William Friedkin to discuss the modern Western The Treasure of the Sierra Madre (1948) at 8 p.m. followed by two more films about stolen loot: Rancher John Wayne enlists gunslinger Kirk Douglas to get back his stolen gold in The War Wagon (1967) at 10:30 p.m., while Charles Bickford and company can't keep ahold of stolen loot in The Last Posse (1953) at 12:30 a.m.
TCM's prime time lineup is all about true crime stories. The James Stewart noir Call Northside 777 (1948) at 8 p.m. is based on a real Chicago case of two men who were wrongfully convicted of murdering a police officer. The Dana Andrews noir Boomerang (1947) at 10 p.m. is based on a case where a vagrant was wrongfully accused of murdering a priest in Bridgeport, Conn.